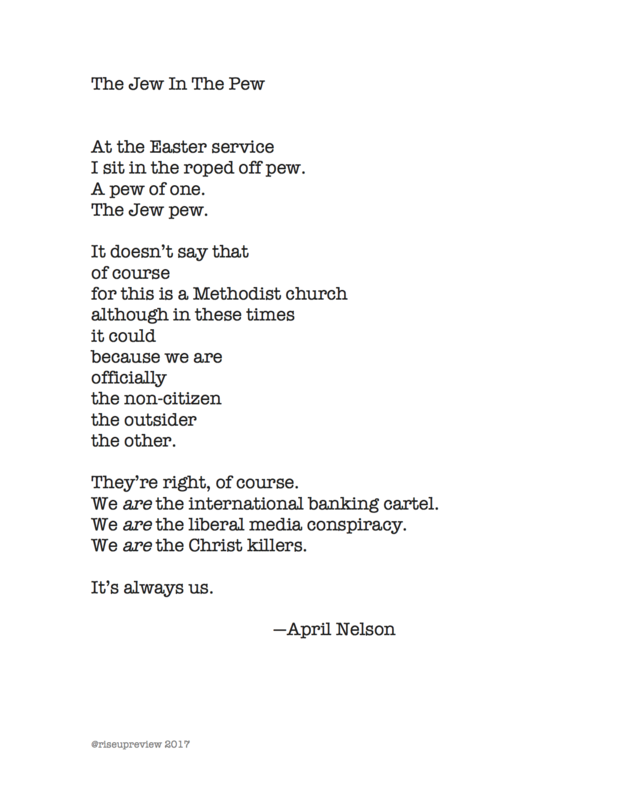 April Nelson predicted that after the incoming administration got done targeting immigrants and Muslims, Jews would be next. Sean Spicer did not disappoint. Not counting her own blog, her poetry has not been published since the 1970s, when she was published in The Young Voice (Ashland Poetry Press, 1974). She writes a monthly column in The Myeloma Beacon, blogs weekly, and is a founding member of the Monday Night Poetry Group, formerly known as the Death and Dying Poetry Club.